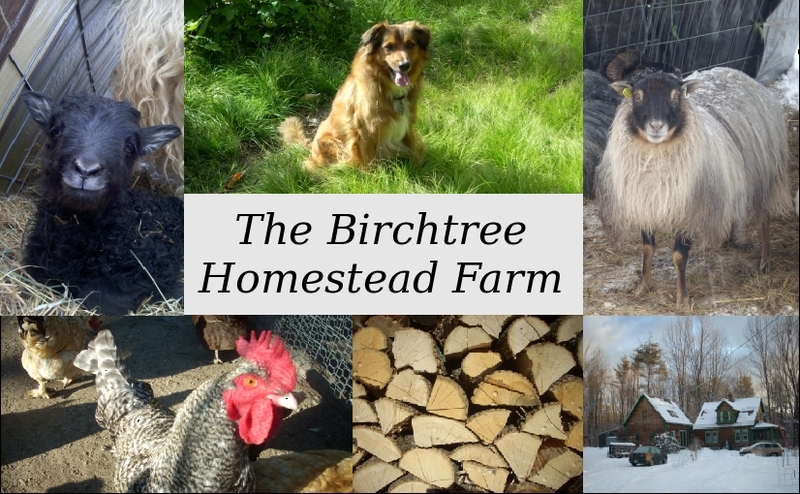 Birchtree Homestead is the name of our home, located on approximately 12 acres in picturesque Tamworth, NH. We raise Icelandic and Gulf Coast sheep, and crosses, for meat and wool, as well as keeping laying hens for eggs, and ducks for eggs and meat. We have fruit and nut trees, grapes, berries, and plant a garden each year. We aim to raise or purchase locally as much of our own food as possible. We hope this site will be useful and provide encouragement to anyone hoping to garden or raise livestock. Helping oversee things is Jake, our English Shepherd. Find out more about the traditional American working farmcollie.